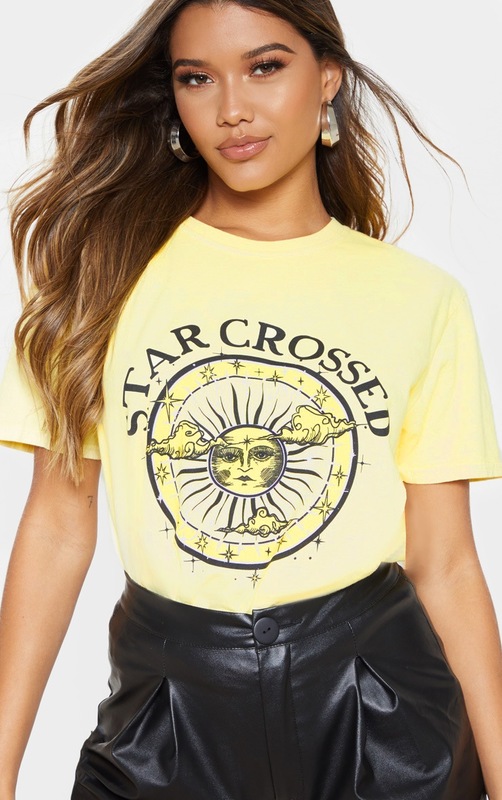 Slogan tees are everything we are loving. 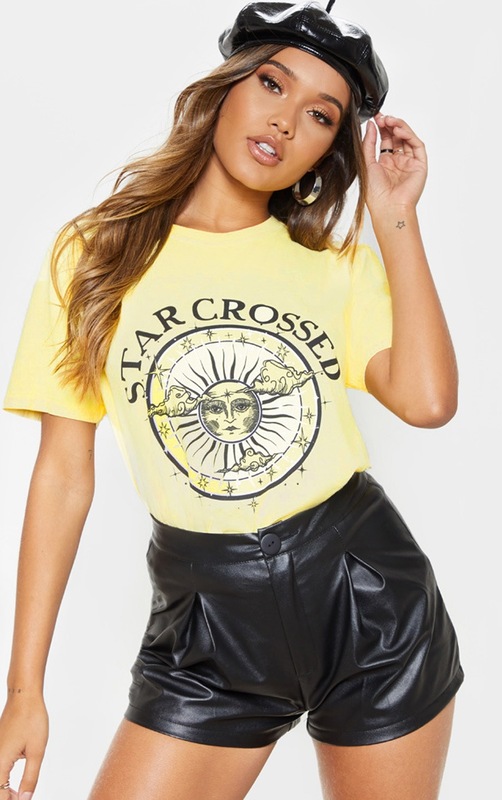 Featuring a yellow material with an oversized slogan and short sleeves. 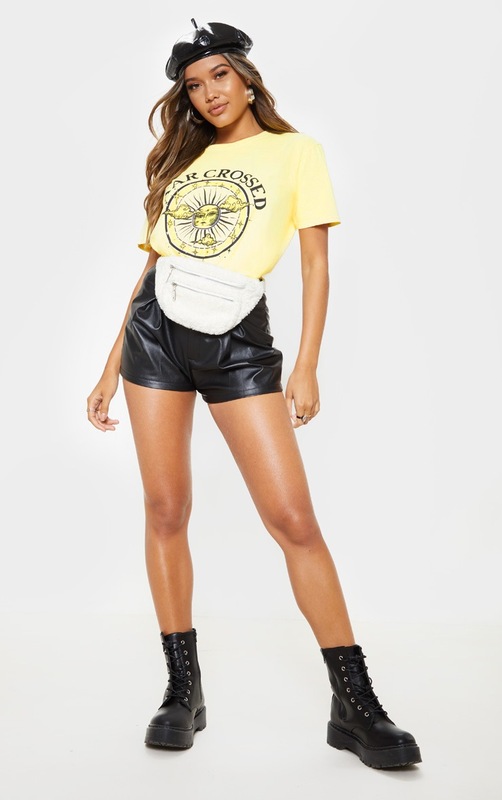 Team this with faux leather bottoms and ankle boots to complete the look.